In the late 80’s and early 90’s in the mist of the the NES’s success, Nintendo did a lot of different things to promote and advertise there video games and characters. One of the ways the did that is by teaming up with the soda making company called Shasta. 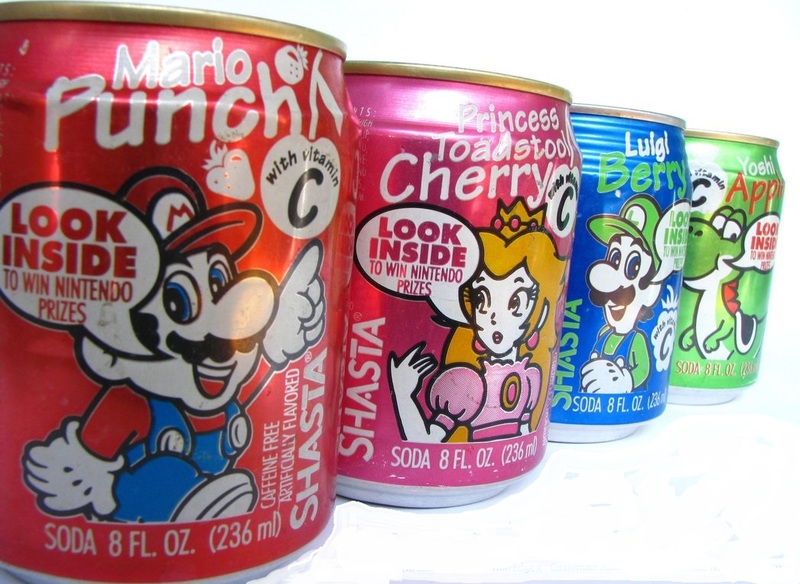 They came up with four different flavors in 8 oz cans that featured four different characters from the Mario Brothers universe. You could also have a chance to win Nintendo prizes from the cans.They were out for a limited time, but very much missed by fans that grew up with the original Nintendo.